Which Geographical Area's Can You Provide Services Too? 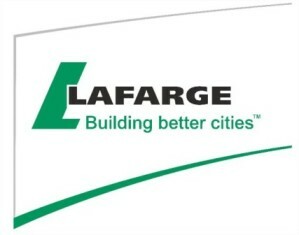 What Services Are You Currently Providing Lafarge? Where Is The Majority Of Work Performed For Lafarge Take Place? Are You Or The Company's Employees Unaccompanied When Working On Any Lafarge Site? Can all the work you perform or the services you provide be conducted from an office at all times? Do any of your employees ever use hand, power, pneumatic or hydraulic tools (i.e. drills, circular saws, jackhammers, grinders, etc.)? Are your employees required to wear any personal protective equipment (PPE) (i.e. safety shoes, safety glasses, fire retardant clothing, hard hat, gloves, hearing protection, etc.)? Are you required to complete or obtain a “permit to work” in order to conduct ANY of your operations (i.e. confined space permit, hot work permit, etc.)? Do you use any mobile equipment to carry out your operations (i.e. cranes, forklifts, aerial lifts, bulldozers, bobcats, front end loaders, etc.)? Does your company at any time perform any of the following: abatement/remediation (asbestos/lead), confined space, demolition, lockout/tagout, work at heights, mobile crane operation, electrical work, hazardous waste operations, hot work, work on, over or under water, rigging or trenching and excavations? Does your company provide ongoing job specific training? Does your company provide your employees ongoing safety training? Do you keep current records of all employee licences, certifications and tickets? Is your Company Interested in Supply Chain Financing Opportunities with Lafarge? Does Your Company Have A Sustainability/Corporate Social Responsibility Policy?